The Trump administration and Congress will host a flurry of NATO events this week, timed to the alliance's 70th anniversary. Why it matters: The past couple of years have been tough for NATO, with Europeans still struggling to pull their own weight on defense spending and warily watching President Trump to see if he'll pull the plug on the alliance. Although such concerns can be overcranked — the U.S. military is doing more in Europe than it was two years ago — the alliance is still strained by unpredictable disruptions from its largest and most important member. Details: NATO Secretary General Jens Stoltenberg will visit President Trump Tuesday and then address a joint session of Congress. Also this week, Vice President Mike Pence will join NATO foreign ministers and experts at a policy conference, and Secretary Mike Pompeo will host all 29 NATO foreign ministers at the State Department. 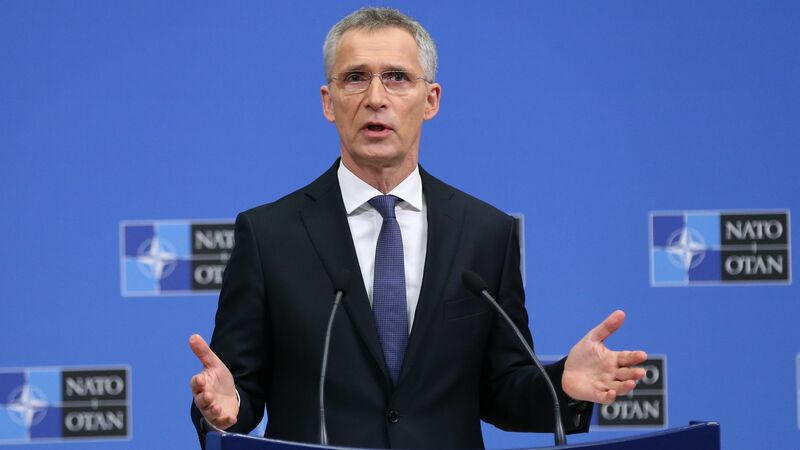 Between the lines: Stoltenberg will be the first NATO secretary general to address Congress, and his bipartisan invitation is a clear signal of congressional concerns about Trump's posture toward the alliance. If the Senate takes up the NATO Support Act, which passed the House overwhelmingly, it could become harder for a U.S. president to withdraw from the alliance. What to watch: Because this is a "ministerial" meeting, world leaders will be staying home (after the experience of last summer’s summit in Brussels, which was dominated by Trump’s antics, they may have figured less is more). Expect mild buzz, perhaps new announcements on defense spending or a discussion of the growing threat from China. Trump remains the wild card, of course, and it's anyone’s guess what will surface in his Twitter feed or remarks alongside Stoltenberg. Eyes will then shift to the next NATO leaders meeting scheduled for December in London. That summit seems unnecessary — there's little business for leaders to conduct that ministers can't handle — and also has the potential to be disrupted by Trump. Derek Chollet is EVP and senior advisor for security and defense policy at the German Marshall Fund of the United States.